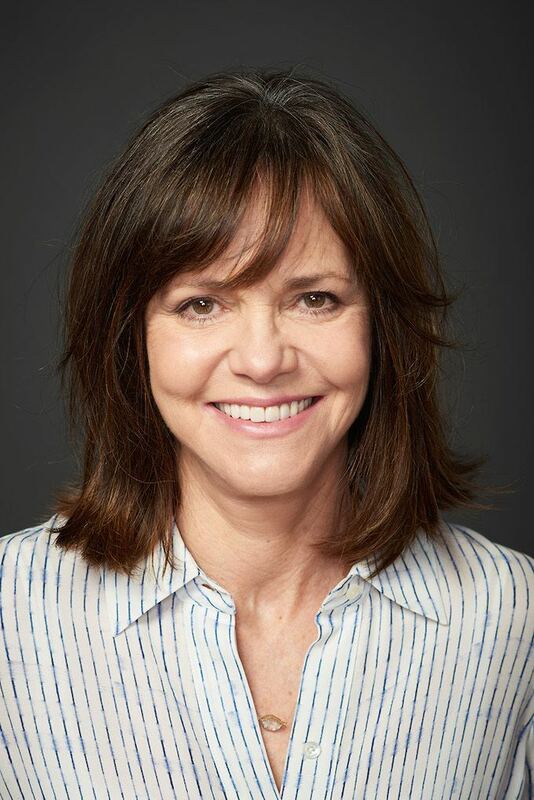 Born November 6, 1946 (age 69) (1946-11-06) Pasadena, California, U.S.
Sally Margaret Field (born November 6, 1946) is an American actress and director. Field began her career on television, starring on the sitcoms Gidget (1965–66), The Flying Nun (1967–70), and The Girl with Something Extra (1973–74). She ventured into film with Smokey and the Bandit (1977) and later Norma Rae (1979), for which she received the Academy Award for Best Actress. She later received Golden Globe Award nominations for her performances in Absence of Malice (1981) and Kiss Me Goodbye (1982), before receiving her second Academy Award for Best Actress for Places in the Heart (1984). Field received further nominations for the Golden Globe Award for Best Actress for Murphy's Romance (1985) and Steel Magnolias (1989). In the 1990s, Field appeared in a wide range of films, including Not Without My Daughter (1991) and Mrs. Doubtfire (1993) before being nominated for the BAFTA Award for Best Actress in a Supporting Role for her performance as Mrs. Gump in Forrest Gump (1994). In the 2000s, she returned to television with a recurring role on the NBC medical drama ER, for which she won the Primetime Emmy Award for Outstanding Guest Actress in a Drama Series in 2001. From 2006 to 2011, she portrayed the lead role of Nora Walker on the ABC television drama Brothers & Sisters, for which she received the Primetime Emmy Award for Outstanding Lead Actress in a Drama Series in 2007. Field later starred as Mary Todd Lincoln in Lincoln (2012), for which she was nominated for the Academy Award for Best Supporting Actress and the Golden Globe Award for Best Supporting Actress, among other accolades. She also appeared as Aunt May in The Amazing Spider-Man (2012) and reprised the role in the 2014 sequel. In 2015, she portrayed the titular character in Hello, My Name Is Doris, for which she was nominated for the Critics' Choice Movie Award for Best Actress in a Comedy. 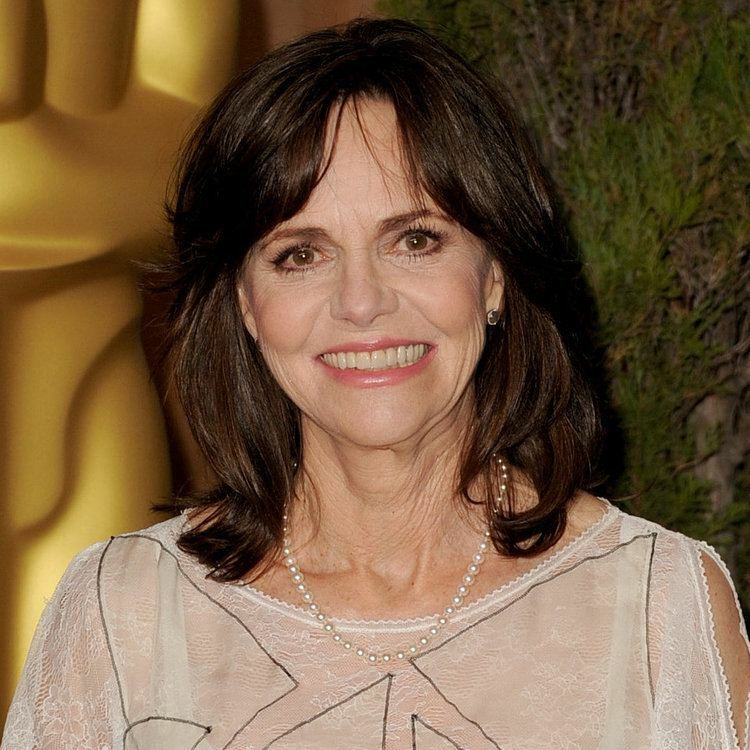 Sally Field was born in Pasadena, California, to Margaret Field (née Morlan; an actress) and Richard Dryden Field. Her father was an army officer. Following her parents' 1950 divorce, her mother married actor and stuntman Jock Mahoney. Through her maternal grandmother's genealogical line, Field is a descendant of a Mayflower passenger and colonial governor William Bradford, her 10 times great-grandfather. Field got her start on television as the boy-crazy surfer girl in the sitcom Gidget (1965–66). The show was not an initial success and was canceled after a single season; however, summer reruns garnered respectable ratings, making the show a belated success. Wanting to find a new starring vehicle for Field, ABC next produced The Flying Nun with Field cast as Sister Bertrille for three seasons, from 1967 to 1970. In an interview included on the Season One DVD release, Field said that she thoroughly enjoyed Gidget, but hated The Flying Nun because she was not treated with respect by the show's directors. Field was then typecast, finding respectable roles difficult to come by. In 1971, Field starred in the ABC TV movie Maybe I'll Come Home in the Spring, playing a discouraged teen runaway who returns home with a bearded, drug-abusing hippie (played by David Carradine). She made several guest television appearances through the mid 1970s, including a role on the western Alias Smith and Jones, a popular TV series starring Gidget co-star Pete Duel. She also appeared in the episode "Whisper" on the TV thriller Night Gallery. In 1977 she co-starred with Burt Reynolds, Jackie Gleason, and Jerry Reed in the year's #2 highest-grossing film, Smokey and the Bandit. In 1979 Field played the eponymous union organizer in Norma Rae, a successful film that established her as a dramatic actress. Vincent Canby, reviewing the film for The New York Times, wrote: "Norma Rae is a seriously concerned contemporary drama, illuminated by some very good performances and one, Miss Field's, that is spectacular." 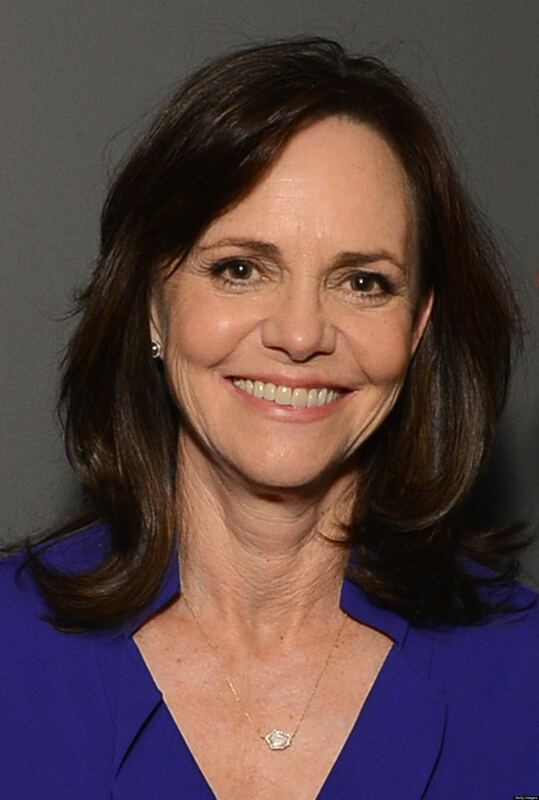 For her role in Norma Rae, Field won the Best Female Performance Prize at the Cannes Film Festival and the Academy Award for Best Actress. Field had supporting roles in a number of other movies, including Mrs. Doubtfire (1993) in which she played Miranda Hillard, the wife of Robin Williams's character and the love interest of Pierce Brosnan's character Stuart 'Stu' Dunmyer. She then played Tom Hanks's mother in Forrest Gump (1994), even though she was only 10 years older than Hanks, with whom she had co-starred six years earlier in Punchline. Field's other 1990s films included Not Without My Daughter, a controversial thriller based on the real-life experience of Betty Mahmoody's escape from Iran with her daughter Mahtob, and Soapdish, a comedy in which she played pampered soap-opera star Celeste Talbert and was joined by an all-star cast including Kevin Kline, Whoopi Goldberg, Elisabeth Shue and Robert Downey, Jr. In 1996 Field received the Berlinale Camera award at the 46th Berlin International Film Festival for her role as a grieving vigilante mother in director John Schlesinger's film Eye for an Eye. She co-starred with Natalie Portman in Where the Heart Is (2000) and appeared opposite Reese Witherspoon in Legally Blonde 2: Red, White & Blonde. Field had a recurring role on ER in the 2000–01 season as Dr. Abby Lockhart's mother, Maggie, who suffers from bipolar disorder, a role for which she won an Emmy Award in 2001. After her critically acclaimed stint on the show, she returned to the role in 2003 and 2006. She also starred in the very short-lived 2002 series The Court. Field's directorial career began with the television film The Christmas Tree (1996). In 1998 she directed the episode "The Original Wives' Club" of the critically acclaimed TV mini-series From the Earth to the Moon, also playing a minor role as Trudy, the wife of astronaut Gordon Cooper. In 2000, she directed the feature film Beautiful. She portrayed Aunt May in the Marvel Comics films The Amazing Spider-Man (2012) as well as the 2014 sequel. Field's widely praised portrayal of Mary Todd Lincoln in Steven Spielberg's film Lincoln brought her Best Supporting Actress nominations for the Academy Award, the Golden Globe, and the BAFTA and Screen Actors Guild awards. In 2017, Field reprised her role as Amanda Wingfield in The Glass Menagerie on Broadway at the Belasco Theatre. Performances began on February 7, 2017 in previews, and officially opened on March 9. The production closed on May 21, 2017. Field had previously played the role in the Kennedy Center production in 2004. She was nominated for a Tony Award for Best Actress in a Play for her performance. Field was married to Steven Craig from 1968 to 1975. During their marriage, the couple had two sons: Peter Craig (born 1969), a novelist, and Eli Craig (born 1972), an actor and director. During the 2007 Emmy Award for Outstanding Lead Actress in a Drama Series, Field's acceptance speech contained an antiwar sentiment: "If the mothers ruled the world, there would be no goddamn wars in the first place." Fox Broadcasting Company, which aired the Emmys, cut the sound and picture after the word "god" and did not cut back to the stage after Field finished talking. An e-mail statement from the company the day after the incident explained that the censorship of Field's speech (among two other censorship incidents during the award ceremony) occurred because "some language during the live broadcast may have been considered inappropriate by some viewers. As a result, Fox's broadcast standards executives determined it appropriate to drop sound and picture during those portions of the show." Field is also an advocate for gay rights and won the Human Rights Campaign's Ally for Equality Award in 2012. Her youngest son, Sam, is openly gay.